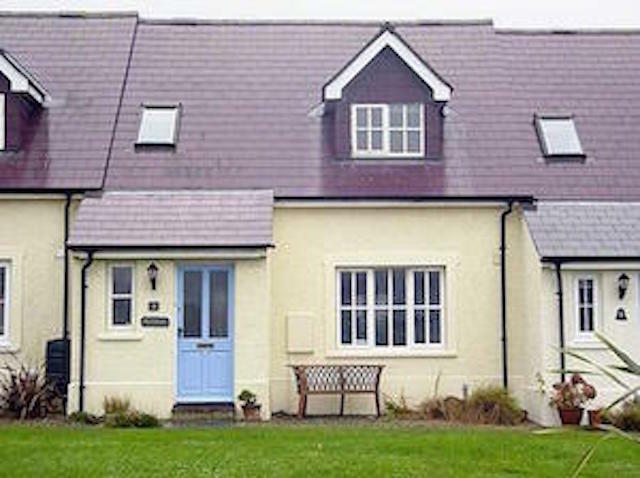 Built in 1996 this delightful self catering holiday cottage in Broad Haven, Pembrokeshire, is situated in a small, quiet development with safe, secure rear garden and off road parking for two cars. Aur Cymru is the ideal base from which to explore the stunning National Coastal Path and neighbouring villages of Solva, Dale, Porthgain and the City of St Davids. This cottageis situated just seconds from the beach. Kitchen: Equipped to the highest standard includes oven, hob, extractor fan, microwave, large fridge/freezer, dishwasher and washer/dryer. There is a comprehensive range of kitchen equipment. 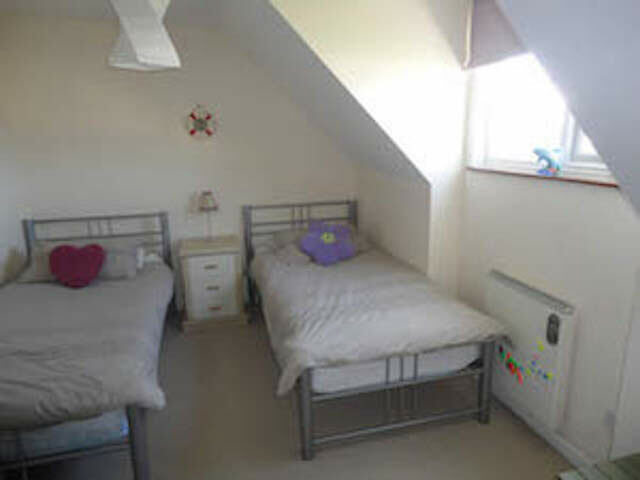 Bedrooms: Bedroom 1:1 x double bed, bedroom 2' 2 x single beds and bedroom 3: 1 x double bed with room for a travel cot (provided on request but please bring own cot bedding). 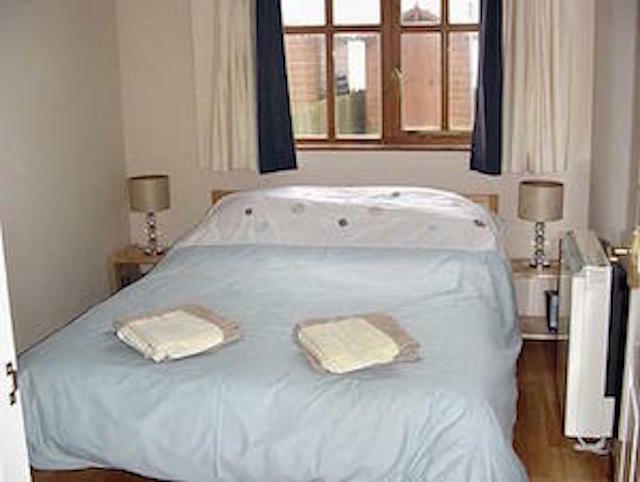 Bed Linen: All bed linen and tea towels are provided. Towel hire available at £4 per set (1xbath and 1xhand towels). 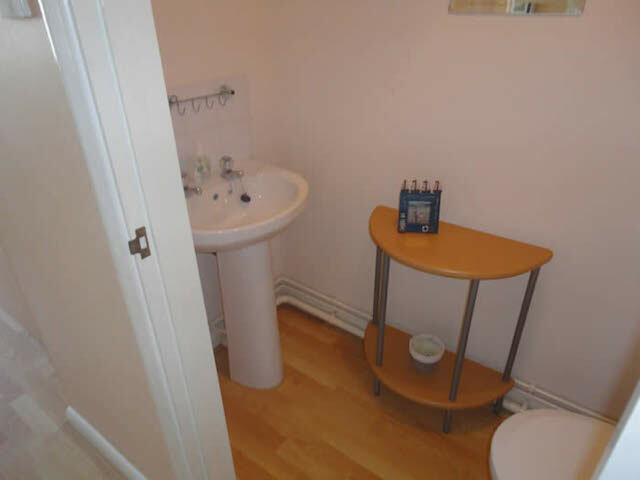 Bathroom: There is a bath with a shower over the bath, mirror and two shaving points. There is a wall mounted fan heater and extractor fan. Heating: The cottage is heated by easy to use economy 7 storage heaters. 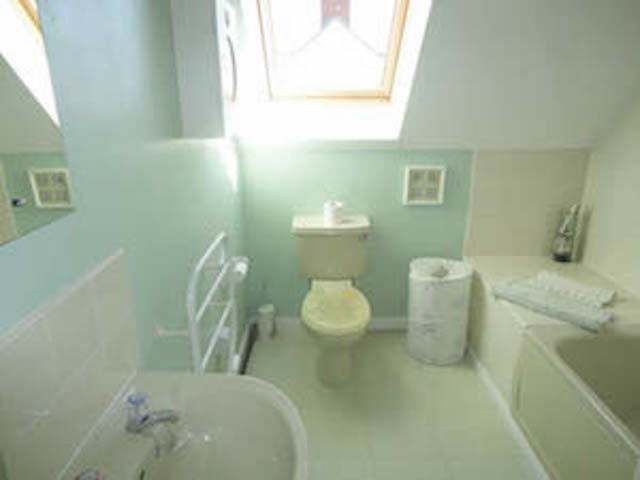 Outside there is secure rear garden with decking area, garden furniture, barbecue and a handy outside shower. The front lawned area is communal with a private bench to sit and watch the kids play or relax with a glass of wine. NB Although Aur Cymru does not accept pets, the owners dog is with them during their stays. Also, the stairgate provided is only suitable for doorways and not stairs. We had a great holiday, the cottage was just right for us and our grandchildren aged 3 and 8. The proximity to the beach on a fairly level walk was fantastic. The cottage itself was well equipped and suited us perfectly. Broad Haven is a lovely place for a family holiday. Another fantastic stay at Aur Cymru - feels like home as we have stayed a few times over the years. Great location with a lovely sunny garden - you can enjoy the sun all day which we were able to do this time as fantastic weather too. Will definitely stay again. We had a great time in Broad Haven last week. I would have no problem recommending it to anyone. We left a note about the iron not working (minor detail) in the book. Another fantastic holiday in this lovely house - Thank you. Lovely house, close to the beach. Great time bodyboarding and sunbathing. Only a couple of rainy days so we were mainly in the beach. Great stay! An amazing stay in Broad Haven, sunshine for both weeks. Thank you for letting us stay in this house, so many things to do. Libby. Loved every minute of our time in Pembrokeshire and "Aur Cymru". A great time in a great place - many thanks. We had a fantastic time. Connie age 5. Thank you for letting us stay. It is the best house in Broad Haven. Spike age 6. Another relaxing stay - lovely sunshine, wanted to stay longer. Thanks, Karen. I gather Karen is a very popular lady and that is definitely true. Thank you for giving us an alternative choice with regards to accommodation. This beautiful home is comfortable, light, airy and warm. 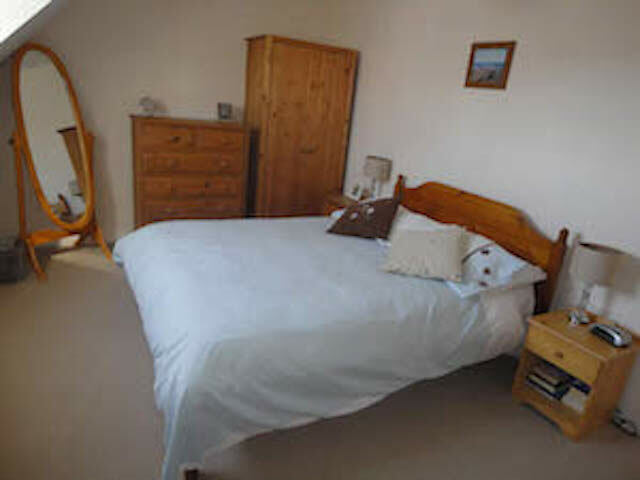 It is in a very nice, quiet location with 2 alternative paths to a sandy welcoming beach. I loved the framed ordance survey map which guided me to a lovely walk to Druidstone, capturing amazing views, features and a 'Tellytubbies' house!! We were spoilt with varied indoor and outdoor toys for my grandchildren. I admire the layout and colour of kitchen units and all the amenities. 'Aur Cymru' is too marvellous for words. 'Diolchyn fawriawn'. Janet and all. Lovely, clean, warm and comfortable house. Just 2 minutes walk from the beach and all amenities. Well positioned for visiting all attractions. Cardigan a bit of a drive but worth it. A great week despite the weather. We spent most of our time on the beach body boarding, kayaking, building sandcastles and digging. Ventured out to the Blue Lagoon which the boys thought was terrific! A wonderful week, thank you. Thank you for a very comfortable stay in yor well equipped and welcoming cottage and to Karen for her prompt attention to a small problem with the dishwasher! Broad Haven is a real gem, such a lovely unspoilt place and even better when the sun shone all day! Thank you so much for a very homely stay. We come to the area every year and this is by far the best house we have stayed in. It was great for our 6 and 2 year olds as they felt right at home. It has such a great location for the beach. Thank you to Karen for making the stay so easy. Firstly, many thanks to Karen for her assistance on my short notice enquiries. A beautiful house in a great location. I have holidayed here with my family for the past 35 years and this is our 'closest to the beach' stay yet! The house had everything we needed with enough room for a 7 month old in a walker! We will most certainly look to you again for our stay next year.